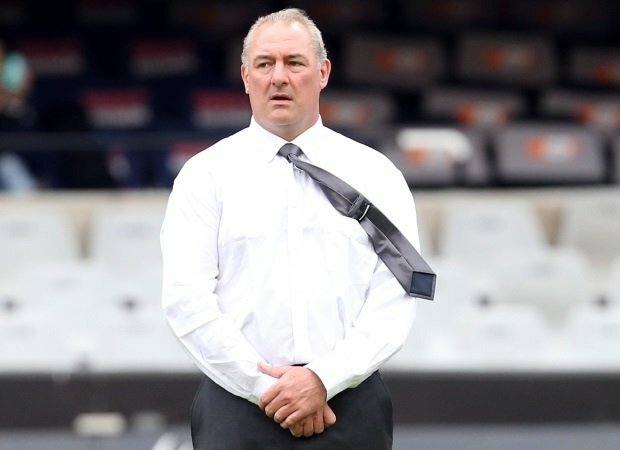 Durban - The Sharks face the Chiefs in their latest Super Rugby outing this week with most of the attention focused on their failure to honour a selection agreement with Springbok management ahead of the Kings Park clash on Saturday. 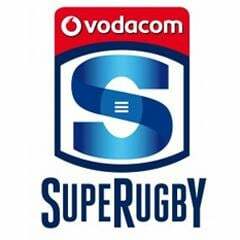 Director of Rugby Gary Gold selected national trio Patrick Lambie, Cobus Reinach and Marcell Coetzee for a sixth consecutive game. The move goes against an understanding with the South African Rugby Union (SARU) that no Boks would be fielded for more than five straight weeks. The Sharks boss, however, has insisted that he was completely behind the plan, but had little choice in the matter considering his side's tough fixture list. "I want to make it known that our view at the Sharks is that we're 100 percent behind the Springboks and resting the players," Gold said. "We've agreed to a plan but from our point of view, we've got a slightly different challenge in that we've got the most Springboks and our first bye is in the 11th round. "When other teams have their bye, they get their break in the five weeks. So it becomes a juggling act when I may not be able to meet the five weeks, which is the case this week because we don't have the benefit of the bye." The focus on the selection issue - an agreement rather than a binding contract between SARU and the franchises - has somewhat diverted attention from the fact that the formidable Chiefs are in town. While the sixth-placed Sharks have managed just two wins from their five games to date, the 2012 and 2013 champions have won four out of five. Dave Rennie's men have been outstanding at the back, and even though they battled up front last weekend, they still managed to beat South Africa's best side, the Stormers, 28-19 in Cape Town. 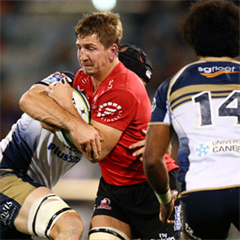 "The Chiefs are a champion side who are on a winning streak and we are under no illusions about the enormity of the challenge that lies ahead on Saturday," Gold added. "They will go into this match as favourites. They have a strong pack of forwards and one of the most exciting backlines in the competition and are well coached." The Sharks made just one change to their starting XV this week with Marco Wentzel replacing long-term injury casualty Pieter-Steph du Toit at lock. The Chiefs, meanwhile, made four changes to their line-up, the most notable being the non-selection of star All Black Sonny Bill Williams. Williams suffered a knock to the head last week and is left out as a precaution. Tim Nanai-Williams is also out, meaning there would be a new centre paring of Andrew Horrell and Seta Tamanivalu. The other two changes in the front row where Jamie Mackintosh and Siate Tokolahi start. Kick-off for Saturday's clash at Kings Park is scheduled for 19:10.